If you are suffering from battery related performance issues with your Navman PiN 300 unit then it may be that you need to replace your battery. 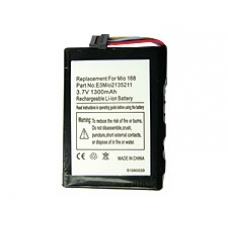 This is a high quality Lithium-Ion 1300 mAh 3.7v drop in replacement to bring your Navman back to working order. * Replacement for Navman PiN 300 and Part Number E3MIO2135211.